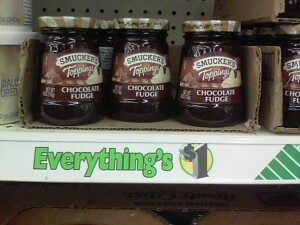 Smucker's Ice Cream Topping only $0.25 w/ Coupon! You can get an awesome deal on ice cream topping at Dollar Tree with this coupon! Thanks for photo, Frugal Diva Frenzy!